We get our toilet paper from a fabulous company called Who Gives a Crap and each roll comes wrapped in a pretty paper which they encourage you to recycle in some way. 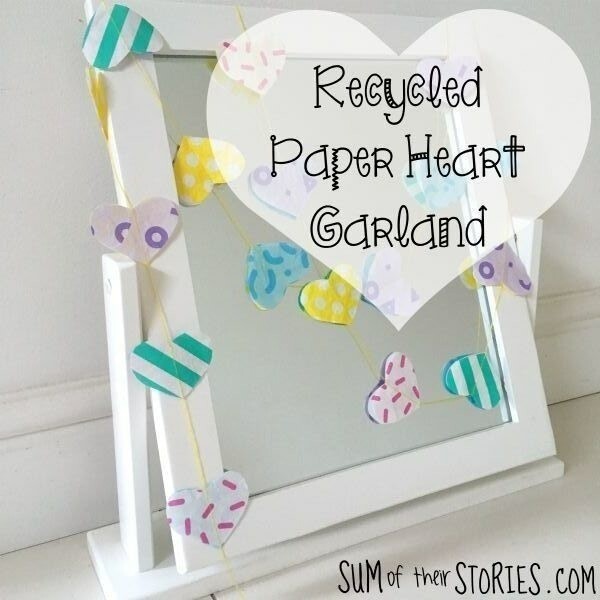 I cut mine into hearts and then used to sewing machine to turn them into a pretty garland. 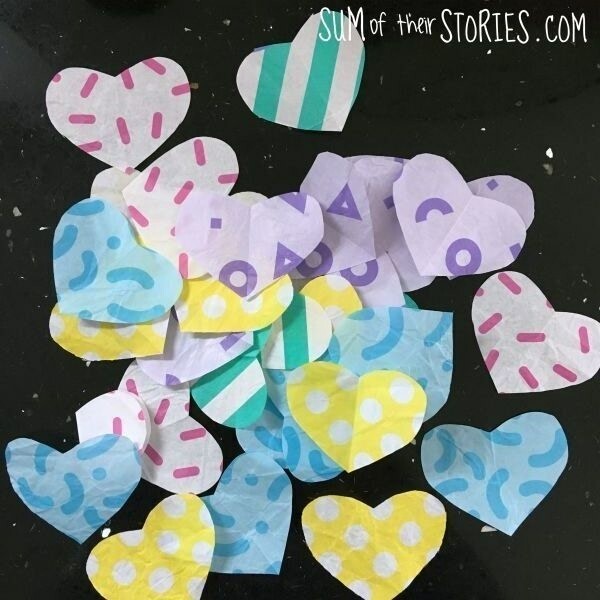 Cut lots of paper hearts from your patterned paper. 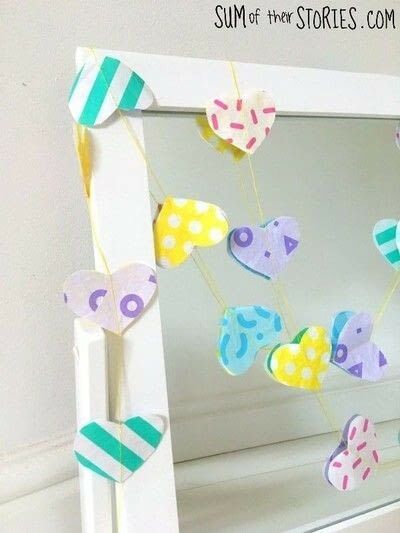 I used the paper that wraps our brand of toilet paper but you could use pages from an old magazine. My hearts were approx 2" by 1.5". You could of course make yours any size you like. Place two hearts, wrong sides together and sew them along the centre. 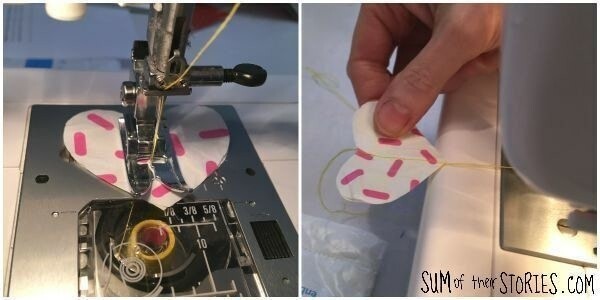 Lift the foot, pull the heart out by a couple of inches and then stitch the next pair of hearts. Continue until the garland is the length you want.